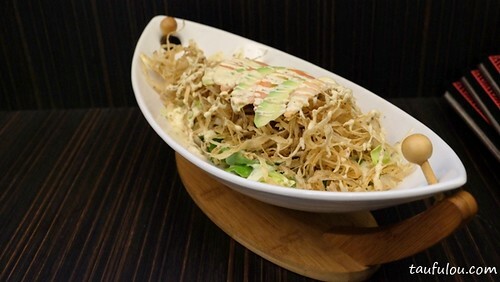 No doubt that Japanese food is one of the most preferred choice of food from many diners out there. Slowly our food market is moving towards new direction. 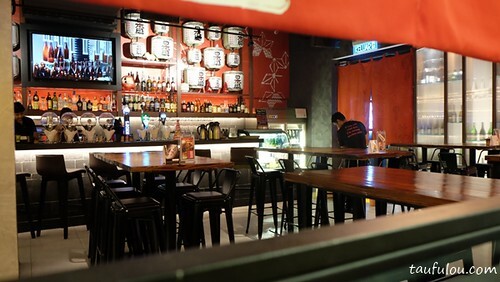 Hana Dining Sake Bar located at Sunway Pyramid is one of the latest Japanese fusion dining restaurant with unique offerings and surprise to diners where the master outlet is at Taiwan. 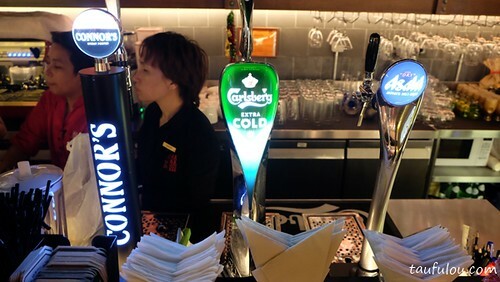 The outlet certainly do give perception of it looks like a drinking joint, however I find it is nicely separated where very similar to many hidden sake joint at Japan. We have to hunt for their entrance which applies to Hana Dining too. 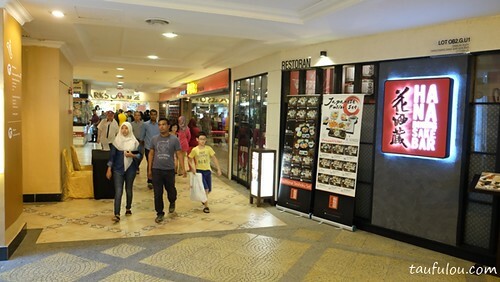 You can see a huge wall if you are walking from Sunway Pyramid towards Parkson and heading out to the courtyard. Their little entrance is right at the side where it is more like a little ally compare to the usual big entrance. 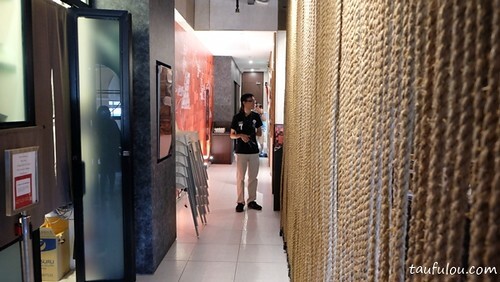 Upon entering, you will be greeted with 2 section where on the left is their Japanese Bar and on the right would be their usual dining area. They have pretty good range of Japanese Sake and Whiskey. 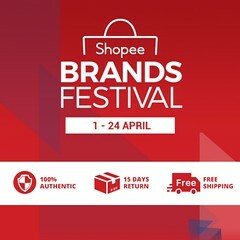 Other brands and beer on tap can be hunt in this area too. 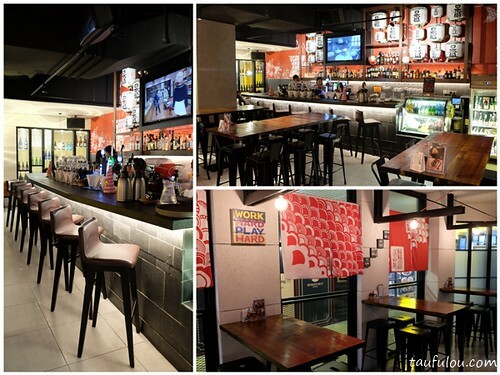 Love their cozy feeling in this modern infuse Japanese concept. Food pricing and portion is just right. There are a few unique items in the menu that is worth to order. I have been to wine pairing and this would be my first Sake Lunch pairing. 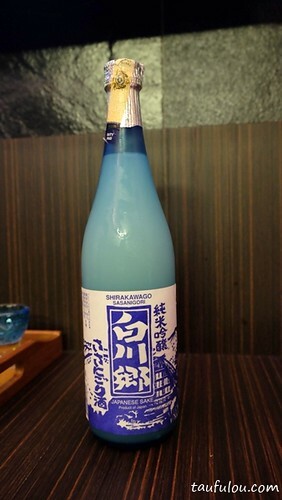 I was previously thought on drinking sake there is 2 style of drinking it. Hot or Cold. 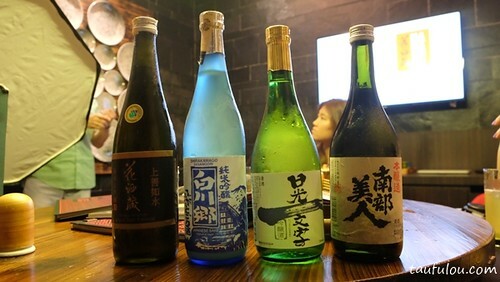 Then in this session I have actually learnt that good sake must be drink cold, where you are only able to taste the texture,body, flavors and aroma. Hot will kill the flavor off (hot is also preferred at Japan during winter for lower grade sake). To kick start our lunch, first pairing will be the premium bottle in black (Jozen HuaJiuZhang Junmai Daiginjo) Niigata prefecture @ RM 290. This sake is custom-made for Hana by Shirataki Brewery that only have 100 bottles for Malaysian market with its special made cask, top my list for one of the best sake bottle that is light in fragrant, easy to drink with dry end, pairs well with fishes. 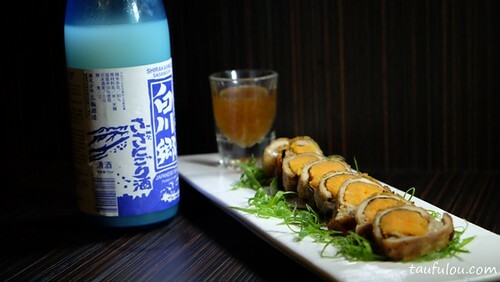 As for that bottle, it pairs with Fried Burdock Salad in Honey Mustard Sauce @ RM 20. 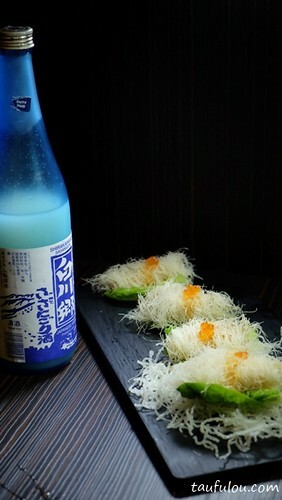 It is a addictive dish where the flakes is slightly crunchy and aromatic like salmon fish skin and their dressing makes it a great pairing with the recommended Sake. One of Chef Thomas signature is this Chef Olic Tuna Marinade @ RM25 where white tuna marinated in olive oil, garlic and a few other ingredients. Fresh piece and fish roe create a little bursting effect in your mouth. 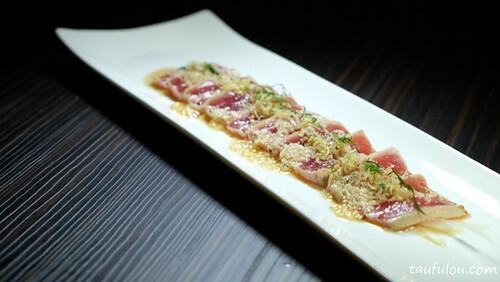 The Maguro Tataki @ RM35 the classic. Cook to perfection where all the edge are nicely seared and in the middle is still pinky red, sauced up with a light soy and citrus sauce with crispy bits and thinly sliced onions. 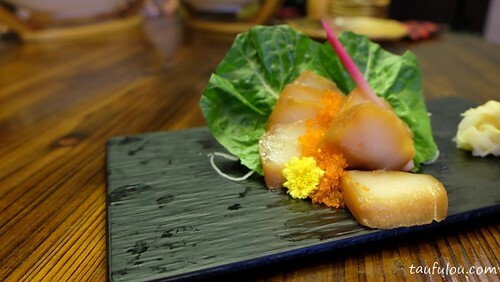 Do not be stingy with this dish as Engawa Nigiri @ RM10 per piece is so smooth smooth and lightly bouncy texture of the fins. 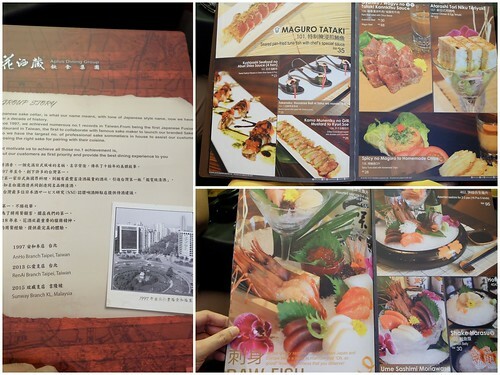 It is worth to order. 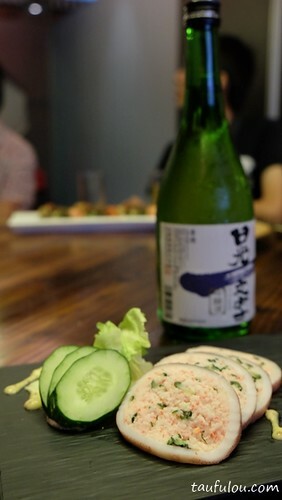 Our next sake is an unfiltered sake that hails from the center of Japan. The lightly cloudy liquid is a must-try and has even garnered a Silver award in the Wine and Spirits Wholesalers of America 68th Annual Convention & Exposition Wine Tasting Competition. Has 2 way of drinking it where without shaking it with its clear sake water or after shaking it. Slightly less sweet compared to the first sake but hint of sake alcohol is more prominent. . Best paired with grilled or fried items. 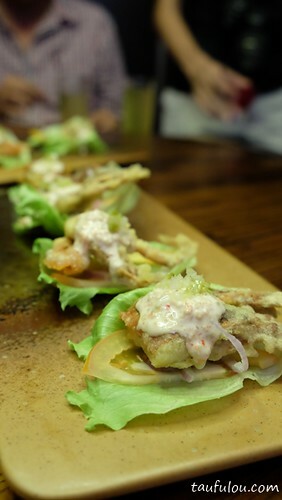 The third dish of Crispy Soft Shell Crab Wrap with Lettuce @ RM18 . First one is Crispy Cod Fish Layered with Sweet Potato @ RM28. Cod wrapped in pastry with creamy sweet potato has lots of crunchy factor contrasting against the soft creamy fish. Pairs well with the fish as lift the freshness of it. Crispy Chicken Stuffed with Sweet Potato @ RM18 is such a pretty dish. 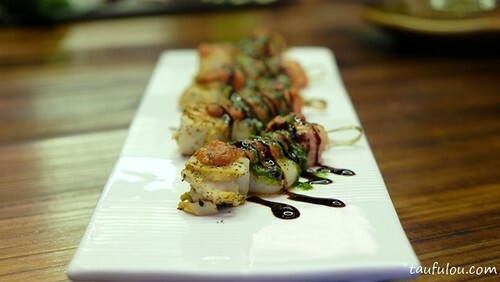 I quite like this dish Seared Seafood Skewer in Green Shiso Sauce @ RM23. 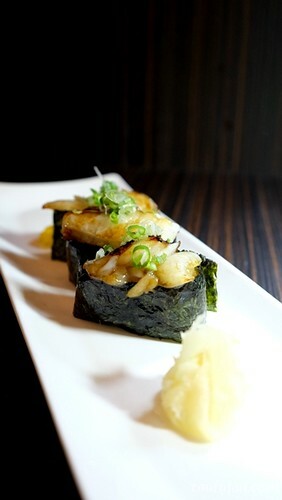 Prawn, scallop and salmon trout are grilled and covered with a vibrant shiso leaf sauce with a hint of spiciness. 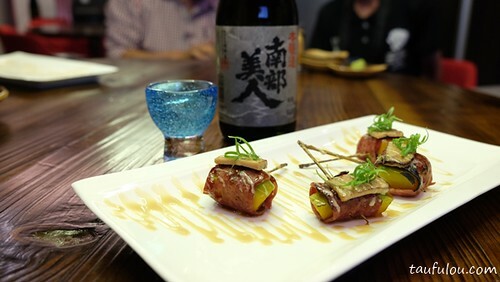 In one bite, I sweep away 3 ingredients in one go and love the aroma pairing of sake where the sauce of this dish is slightly strong and sake is light in flavour that brings up the balance of it. Hail from east of Japan, where the flavour is more direct which is sweet and sour note. 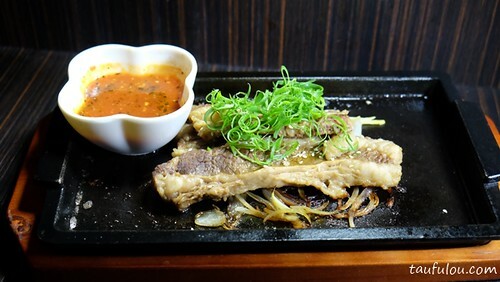 It is a beginner level of sake. .
Roasted Beef Ribs in Tomato Sauce @ RM59 is another signature of Hana. A nice cut with layer of fats. Cooked in light sweet tomato sauce, with caramelise onions. Final sake is produced in North East of Japan. This one is medium dry and has a robust and sharper note compared to all the sakes we had. 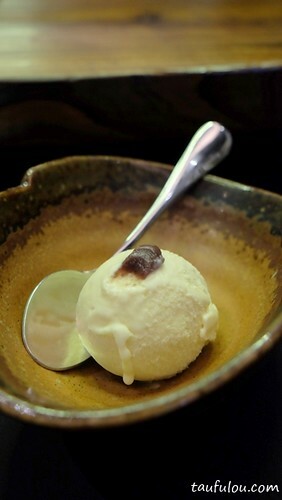 Best paired with heavier flavoured dishes as well as meat, it is recommended for dishes of Yakiniku or Sukiyaki. 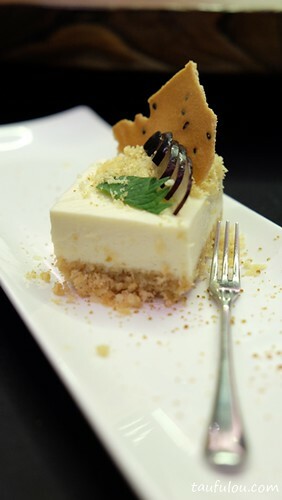 End our meals with Homemade Tofu Cheesecake @ RM 9 rich and slightly creamy and smooth in texture that gives it a well balacnce in taste and White Sesame Ice Cream @ RM 7 is a simple way to end it. Both desserts are good! 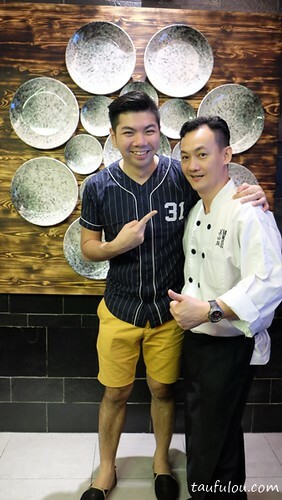 The spearhead and creative person for Hana is Head Chef Thomas Lim with vast experience under his belt that enables him to create multi bar snacks and fusion cuisine. 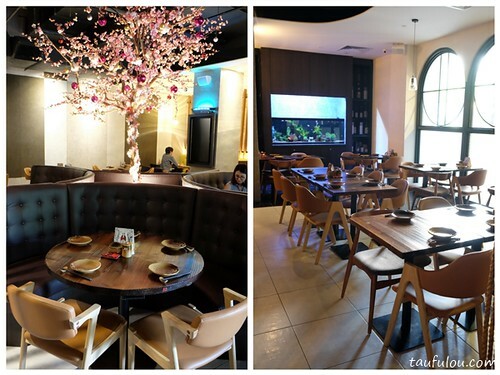 A great place to enjoy some unique Japanese Cuisine and my favorite sake bottle is the first and last.